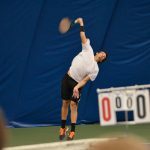 Recording wins over the weekend, the University of Indianapolis men’s and women’s tennis teams both advanced their winning records in matches against the Northern Missouri State University Bearcats on March 4. The men took their first sweep of the season over the Bearcats. Junior Andrea Morlet and senior Arklon Huertas del Pino earned their third win of the season in doubles, with Huertas del Pino also taking a win in his singles competition. Senior Marco Razo also had two wins on the day; one in the singles competition in wins of 6-1 and 7-5 and one in the doubles competition with partner sophomore Magnus Mueller 9-7. 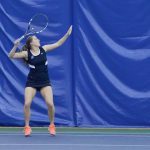 The women earned their sixth win of the season over the Bearcats, taking two out of three doubles competitions as well as the top three singles competitions. 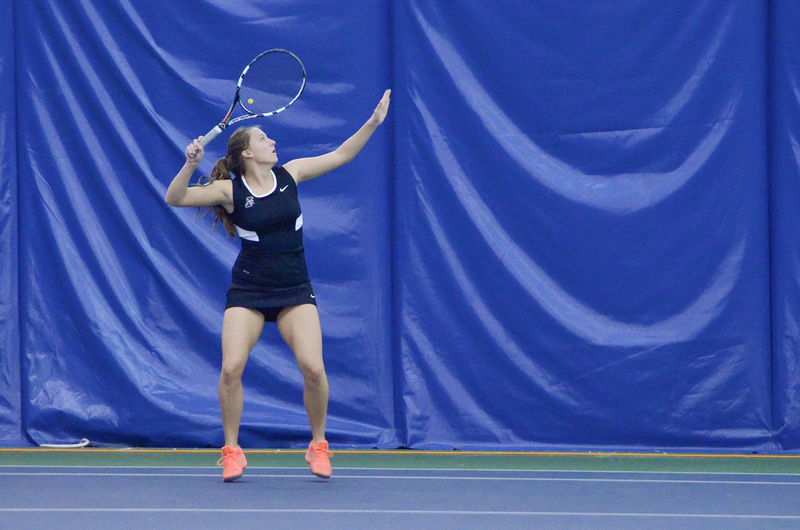 Doubles team sophomore Hanna Volikova and junior Florence Renard improved their record to 6-1. 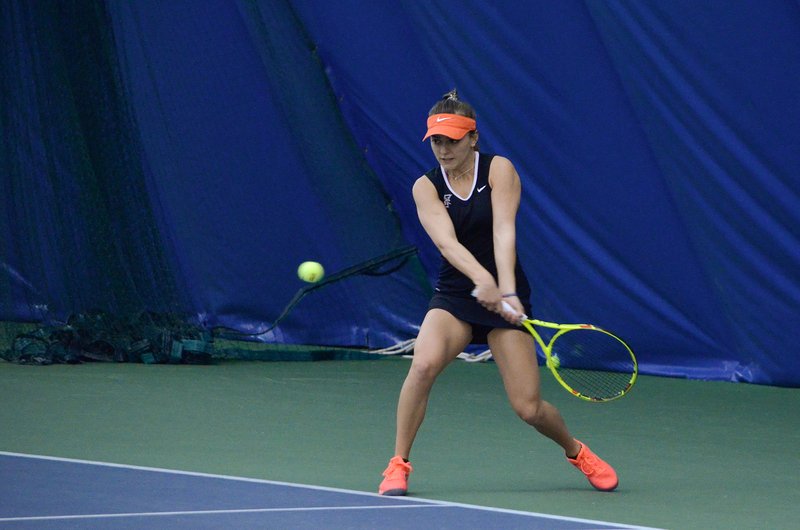 Volikova and Renard also picked up wins in their singles matches. Redshirt junior Stephanie Hirsch won her second match of the No. 3 singles slot to clinch the team’s victory. 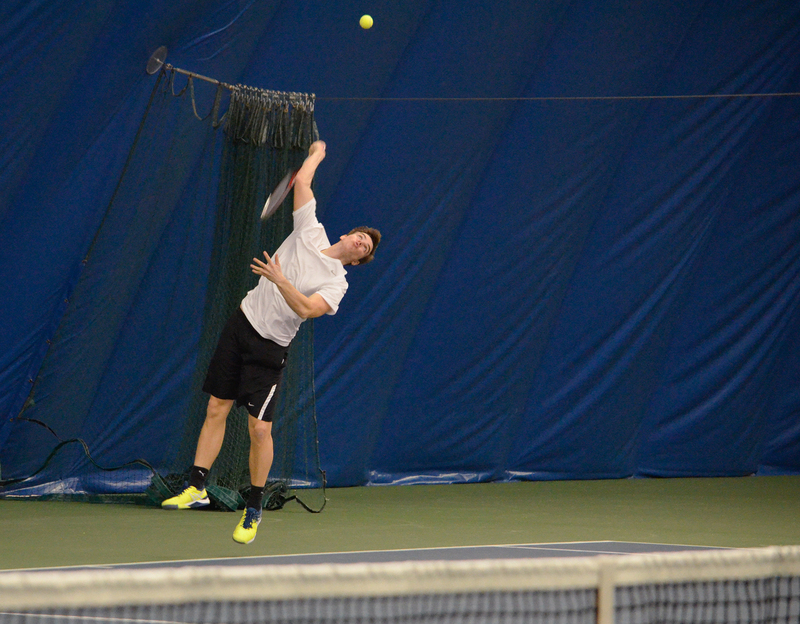 Both teams took home wins on thier final non-Division II matches on Feb. 21 against Depauw University Tigers. The men’s team also faced No. 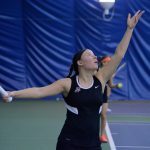 20 ranked Ferris State University on Feb. 24 but fell 5-4. 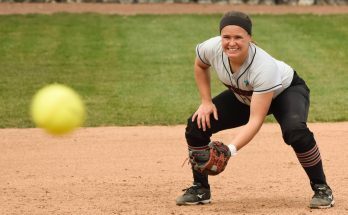 The women achieved their third sweep of the season against the Tigers. 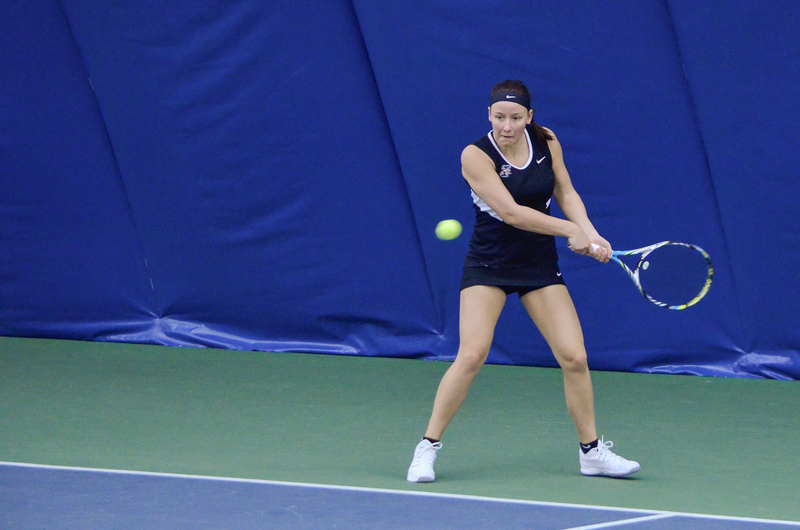 UIndy started the evening by taking all three points in the doubles contests. All doubles partners won their matches by at least two points. Doubles partners junior Paige Olsen and junior Dana Olsen secured the Greyhounds’ last doubles contests point by dropping the Tigers 8-6. In the singles contests, the women won every match in two sets. The line-up started Volikova winning both sets 6-1 in the No.1 singles match. Following her victory, Renard defeated her Tiger opponent 6-1 in both sets. Renard said that she and Volikova have a clear understanding of each other’s goals, and their strong trust in each other helps them to be successful doubles partners. This win adds to Renard’s perfect 6-0 overall in singles matches this season. The Greyhounds’ final singles contestant, junior Mara Hofstetter, also won 6-1, 6-1 and secured the last point of the evening, sweeping the Tigers 9-0. The men’s team also defeated the Tigers with a final score of 8-1. 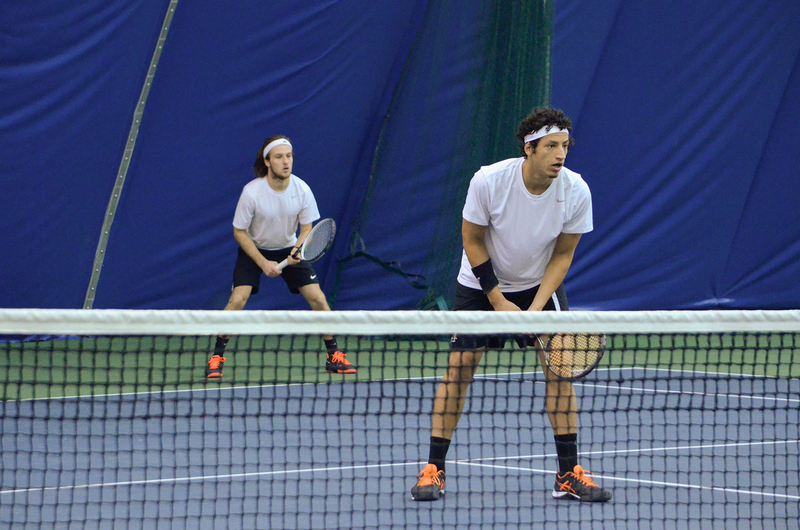 The Greyhounds opened the doubles contests with No.1 doubles partners Huertas del Pino and Morlet. 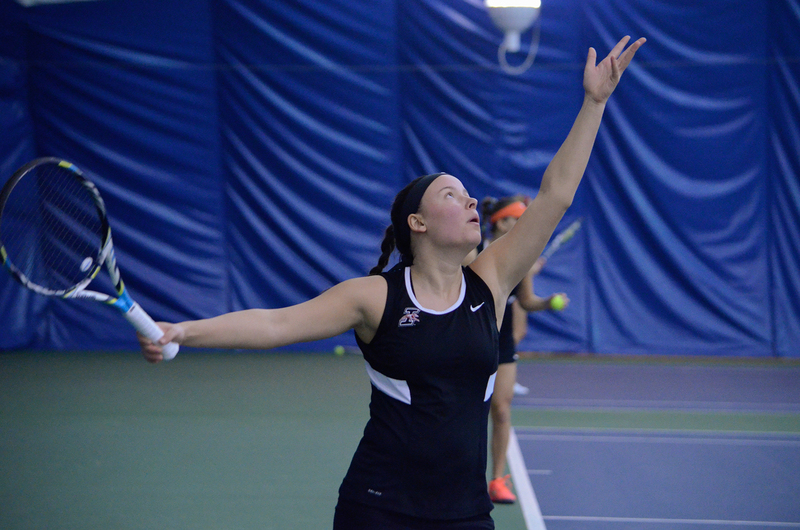 After a tough match, they defeated the Tigers duo 8-6, giving UIndy the initial advantage. The Greyhounds finished the doubles contests 2-1. Opening the singles contests was Huertas del Pino, who took the win in just two sets, defeating his opponent 6-3 and 6-1. Freshman James Weatherhead took his first singles victory by defeating Tiger Greg Fruenheim 6-3, 6-4 in the No.4 singles slot. 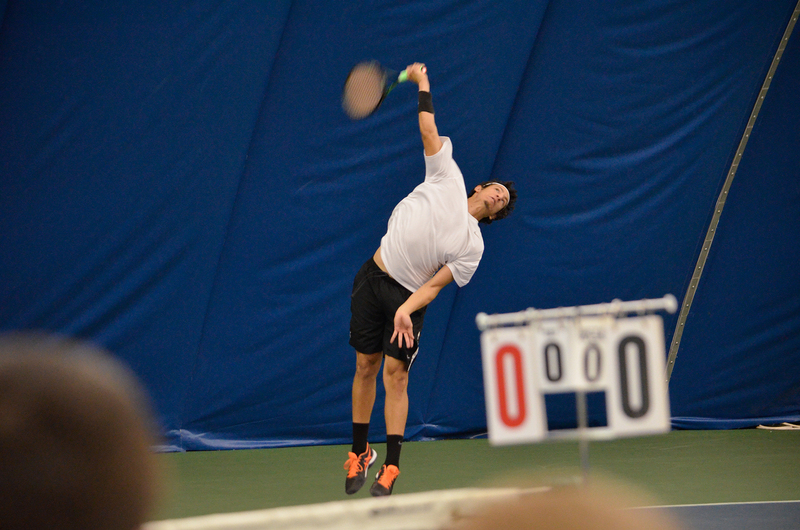 The Greyhounds managed to win all singles contests in two sets, making the final score 8-1 in their favor. 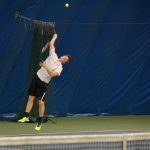 The Depauw University Tigers have been a constant presence on UIndy’s tennis schedule. 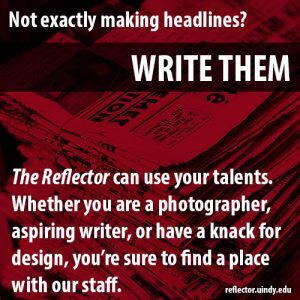 According to Head Tennis Coach Malik Tabet, Depauw’s team is a good reference to see how UIndy is doing prior to its Division II schedule. Both teams are now preparing for their upcoming spring break matches in Florida. While in Florida, they will face top-ranked teams No.3 Lynn University, No.15 Nova Southeastern, No.6 Barry University and No.35 Florida Southern. 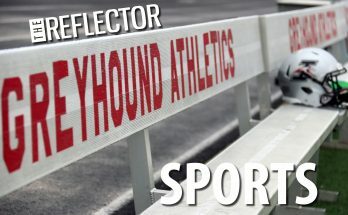 These teams are different from what the players are used to, according to Huertas del Pino, but he is confident the Greyhounds are a competitive opponent and will be able to take home some victories. Both teams will travel to Boca Raton, Fla., to face No.3 Lynn University on March 15. Both matches will begin at 2 p.m.